Orbital ATK is targeted to launch its Cygnus spacecraft into orbit for a resupply mission to the International Space Station March 24, 2017 from Cape Canaveral Air Force Station in Florida. Cygnus will launch atop a United Launch Alliance Atlas V rocket carrying crew supplies, equipment and scientific research to crew members aboard the station. The flight will deliver investigations that study magnetic cell culturing, crystal growth and atmospheric reentry. In microgravity, cancer cells grow in 3-D, spheroid structures that closely resemble their form in the human body, allowing to better test the efficacy of a drug. The Efficacy and Metabolism of Azonafide Antibody-Drug Conjugates in Microgravity (ADCs in Microgravity) investigation tests new antibody drug conjugates, developed by Oncolinx. These conjugates combine an immune-activating drug with antibodies and target only cancer cells, which could potentially increase the effectiveness of chemotherapy and potentially reduce the associated side-effects. Results from this investigation could help inform drug design for cancer patients, as well as more insight into how microgravity effects a drug's performance. Cells cultured in space spontaneously grow in 3-D, as opposed to cells cultured on Earth which grow in 2-D, resulting in characteristics more representative of how cells grow and function in living organisms. 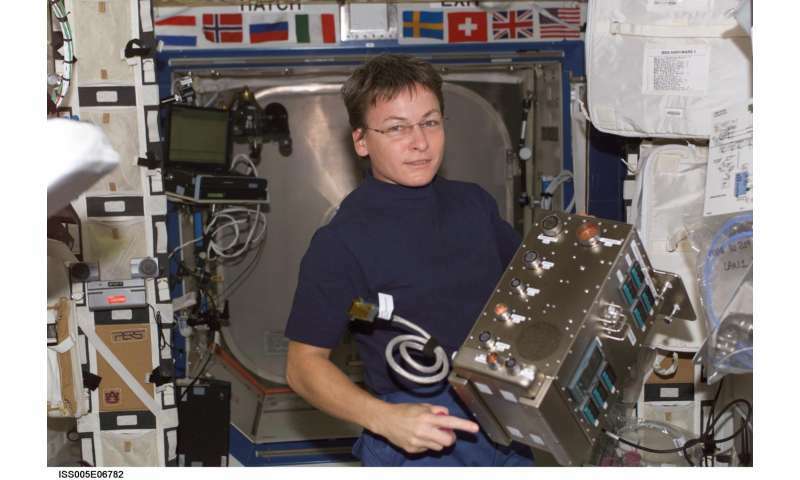 The Magnetic 3-D Cell Culture for Biological Research in Microgravity (Magnetic 3-D Cell Culturing) investigation will test magnetized cells and tools that may make it easier to handle cells and cell cultures. As a result, this could help investigators improving the ability to reproduce similar investigations on Earth. This investigation will test ways to manipulate and culture cells in 2-D and 3-D in space and on the ground, which may help isolate the effects of gravity in experiments. If investigators can identify these effects on the cell's growth, data will be used to help design environments on Earth which mimic microgravity, which could reduce the cost of drug development. The Solidification Using a Baffle in Sealed Ampoules (SUBSA) investigation was originally operated successfully aboard the space station in 2002. Although it has been updated with modernized software, data acquisition, high definition video and communication interfaces, its objective remains the same: advance our understanding of the processes involved in semiconductor crystal growth. Many crystal growth investigations, such as CLYC Crystal Growth and Detached Melt and Vapor Growth of InI, will occur within SUBSA Furnace and Inserts. Samples can be observed with high-definition video in real-time, along with remote commanding of thermal control parameters by investigation teams. 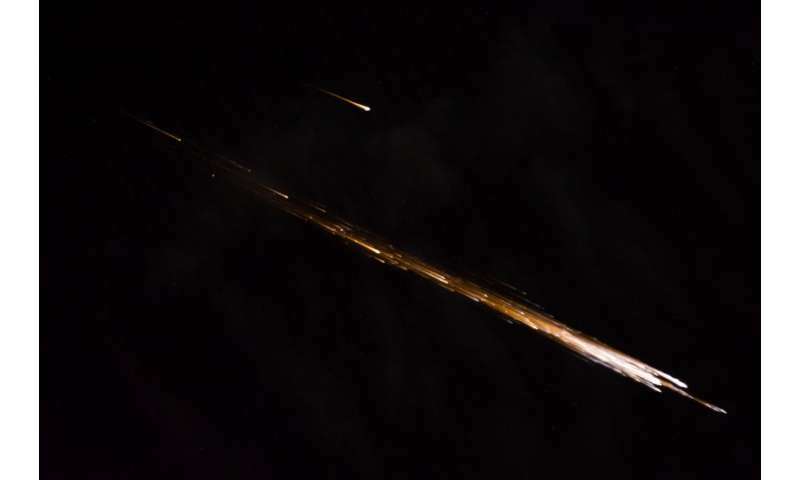 Out-of-function satellites, spent rocket stages and other debris frequently reenter Earth's atmosphere, where most of it breaks up and disintegrates before hitting the ground. However, some larger objects can survive atmospheric reentry. The ability to predict how an object will break apart is valuable in the protection of people and property. The Thermal Protection Material Flight Test and Reentry Data Collection (RED-Data2) investigation studies a new type of recording device that rides alongside of a spacecraft reentering the Earth's atmosphere, recording data about the extreme conditions it encounters during reentry, something scientists have been unable to test on a large scale thus far. Understanding what happens to a spacecraft as it reenters the atmosphere could lead to increased accuracy of spacecraft breakup predictions, an improved design of future spacecraft and the development of materials that can resist the extreme heat and pressure of returning to Earth. IceCube, a small satellite known as a CubeSat, will measure cloud ice using an 883-Gigahertz radiometer. Used to predict weather and climate models, IceCube will collect the first global map of cloud-induced radiances. The key objective for this investigation is to raise the technology readiness level, a NASA assessment that measures a technology's maturity level. Joining the space station's growing list of facilities is the Advanced Plant Habitat, a fully enclosed, environmentally controlled plant habitat used to conduct plant bioscience research. The habitat integrates proven microgravity plant growth processes with newly-developed technologies to increase overall efficiency and reliability. The ability to cultivate plants for food and oxygen generation aboard the space station is a key step in the planning of longer-duration, deep space missions where frequent resupply missions may not be a possibility.